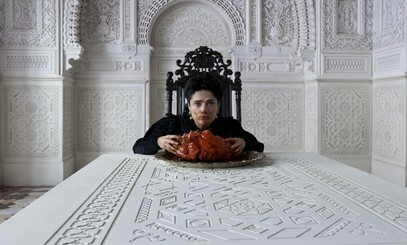 With its striking trailer release just before Cannes (the film is out in Italy on the same day as its festival screening), The Tale of Tales had the audience salivating, with its starry casts and striking imagery. And you cannot accuse Garrone of resting on its laurels and not trying something completely different, with a new film full of fairy tales and monsters after Gomorrah about the mafia, and Reality dealing with, well, reality TV. Tale of Tales has three, mostly interconnected stories. The first one has a barren queen who, desperate to have a child, follow the advice of a mysterious man, and making use of the black arts, having a sea monster killed and eating its heart, having the effect of getting her instantly pregnant. But she had been warned of consequences… The second story sees Vincent Cassel has a lascivious and womanising king falling for a woman he has only heard but never seen, and he is in for a mighty surprise! The third one has Toby Jones train a completely unexpected companion, setting a very unfortunate course of events involving his daughter who is desperate to marry. The Tales of Tales starts off rather promisingly with its intriguing stories. 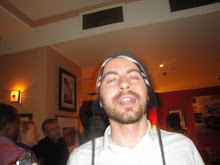 But this initial feeling sadly soon dissipate. While there is a baroque quality to the imagery, it feels rather baroque lite, and despite some nice touches (the Salma Hayek castle is strikingly original, all in white angles), looks nothing like proper baroque excesses we have seen (I read some comparing it to Peter Greenaway, far from it!). Worse, the uninspired direction completely lets it down, lacking of ay kind of magic and visual flair, but not going for over the top grotesque either, delivering a rather ugly and dull image as a result. And as as the stories unfold, they soon become uninvolving. Indeed only the Vincent Cassel segment (who is rather brilliant by the way, with an impressive English accent) has characters that we feel any sympathy towards and is compelling enough. The first story goes nowhere fast, with John C.Reilly (ubiquitous in Cannes this year) being more John C. Reilly than ever. And the third story, after an intriguing opening, slowly fizzles out. As for the rest of the cast, Selma Hayek impresses (and has a very iconic scene with her eating a big, bloodied monster heart), even if her story is not worthy of her performance. I can’t help feeling that a more gifted director, more at ease with fantasy, would have been able to do so much more with the material (a classic in Italy), somebody like Terry Gilliam perhaps.